Modern lifestyles and ways of working have challenged the conventional model of the fixed workplace.Thanks to a revolution in connectivity and mobility, you’re as likely to participate in a conference call from a café as you are from your own office. Even in this brave new world, however, one thing hasn’t changed – people still need meet to discuss important matters in person. For businesses that have decentralized in a bid to encourage telecommuting, or smaller businesses that can’t afford a large office, the issue of where to meet – and with what facilities – presents quite a problem. 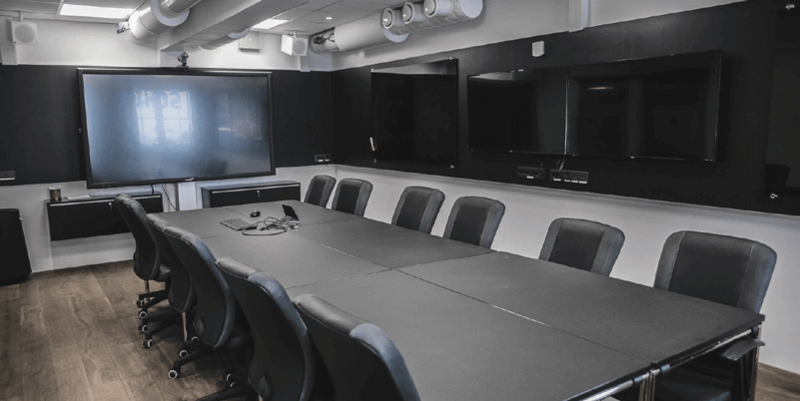 Vivitek has partnered with Vingparken conference to offer a solution, and to showcase a new vision for collaboration that could revolutionize and energize any office space. Launched in January 2016 in Moss, Norway, Vingparken Conference a groundbreaking conference center with pop-up meeting rooms set in a refurbished former key and keyring factory. Its modern facilities range from meeting rooms designed to accommodate up to 60 attendees, to the highly-respected RO restaurant. I find the NovoPRO very logical, functional and reliable in use. I also like how it seamlessly connects to different platforms, such Android, iOS and Microsoft applications. Vingparken is really well located. It’s at the heart of many professional businesses ranging from medical, psychologists and aroma therapy. These are skilled professionals who have offices but not meeting rooms or enough space to accommodate large meetings. There’s no doubt that the innovative, comprehensive and cost-effective collaboration and projection solutions provided by Vivitek have played a big role in the success of Vingparken. In fact, the Playing a role in making meetings a success, is Vivitek’s DH976-WT, a high brightness multimedia digital projector. The DH976-WT delivers astonishing image quality and is perfectly suited for any meeting room. 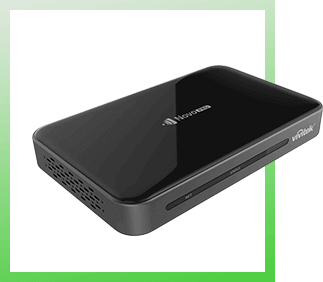 With a brightness of 4,800 ANSI lumens, 1080P resolution and an outstanding 15,000:1 contrast ratio, the projector delivers outstanding performance. The DH976-WT also features DLP Link and BluRay 3D functionality, Crestron RoomView certification, high-efficiency lamps and an assortment of connectivity options for easy connection to a variety of multimedia devices. This ensures it’s flexible enough to meet the projection needs of many users. NovoPro has proved so popular that Vingparken Conference has already expressed a desire to install the units in more of its meeting rooms. This has come as no surprise to Linn, as she says that the ease of use, reliability, simplicity and flexibility of Vivitek’s solutions have been well received by both Vingparken Conference and its users, alike. The success of our partnership with Vingparken is just one example – thanks to our wide range of Novo main units and accessories, Vivitek offers the perfect collaboration solution for any business, from small startups to large enterprises. Explore our product offer and see how NovoConnect, NovoPro and NovoEnterprise can revolutionize collaboration and energize your office space. If you’re interested in our offer or have any questions, please don’t hesitate to contact us.